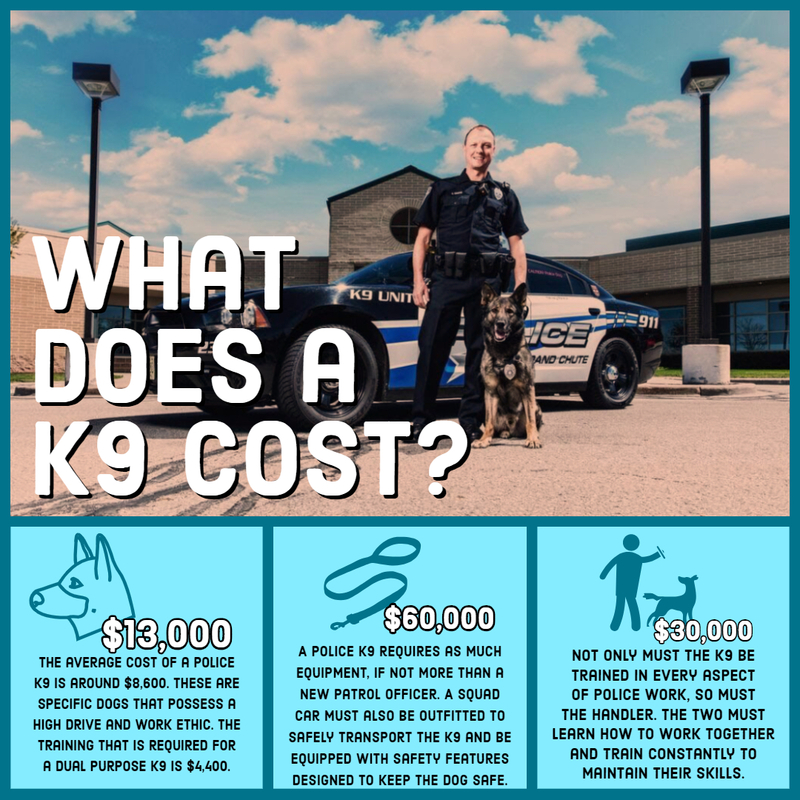 The Grand Chute Police Department launched its Police K-9 program in 2011, when Officer Shawn Enneper and his K-9 partner, Fram, entered service. The average career of a police K-9 is between seven and ten years. 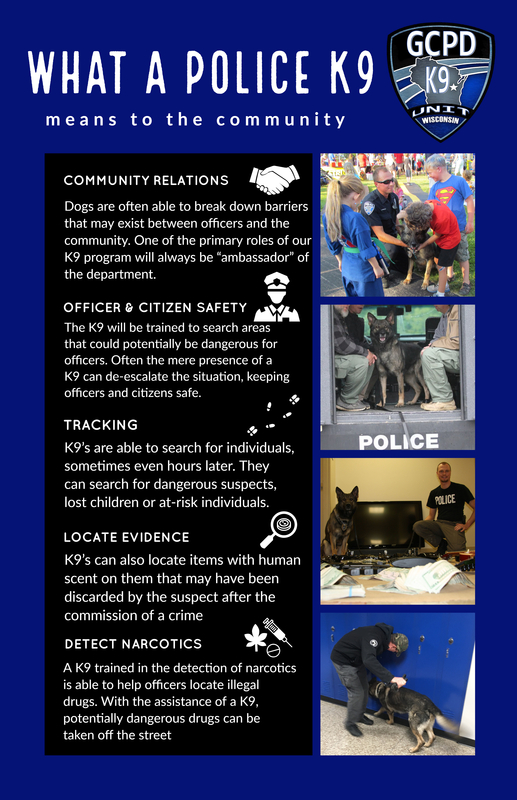 Donate Today -- The GCPD K-9 Program is funded almost exclusively through community donations.